Bartender says: Why the tent pose? Review The Yoga form factor has been one of Lenovo’s biggest successes, and in 2013 the company slapped a business suit on it and brought the it into the Thinkpad fold. Three years later it added the X1 branding, and a premium OLED display. This year’s X1 Yoga is the third generation of the machine that can be used in three positions: laptop, tablet or Tent Mode. And it’s a bit more affordable than you may suppose. Tent Mode, useful for presentations at small or low-key meetings, is really what differentiates this machine from the pricey but highly covetable X1 Carbon business flagship - which will lie flat, but not fold right around. There is, however, an expensive feature (you may say gimmick) to Yoga-ization: a retractable (“lift and lock”) keyboard. On this year’s X1 Yoga this is fairly subtle – you may not notice it at first. It prevents your fingers activating the keyboard when you’re holding it in tablet mode. 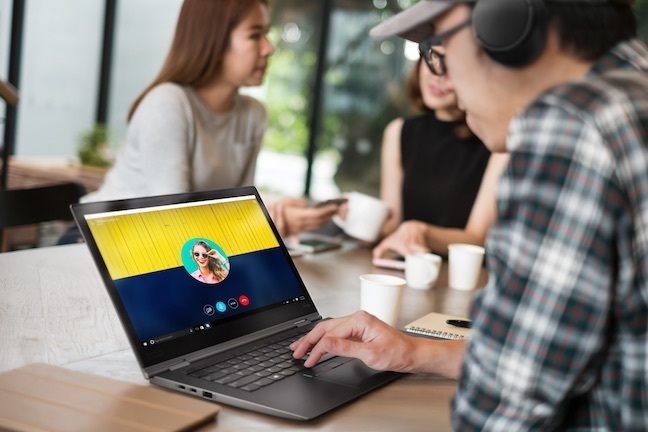 Otherwise it’s fully recognisable as a member of the ThinkPad X1 clan – it doesn’t feel like an imposter dreamed up by the Lenovo marketing department. 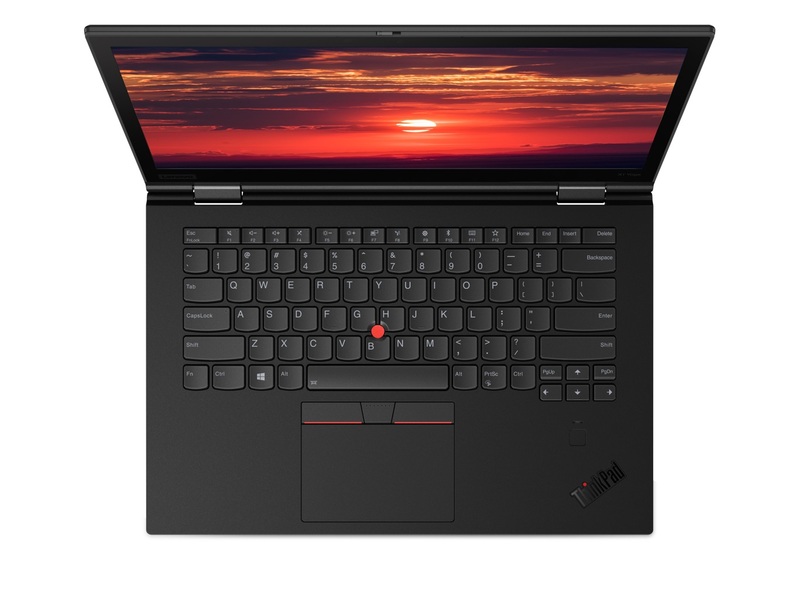 The X1 Yoga has the durable rugged design and matte finish that a Thinkpad should have. The port selection is fairly generous, with two Thunderbolt 3 and two USB-C 3 ports, although Lenovo includes only a mini-Ethernet port. A dongle is included in the lavish packaging, so you can lose it on a future trip. Lenovo makes much of the advantage of its docking options. Which if you’re feeling short-changed by the port selection are intended to plug you right into the office. The Thunderbolt dock leaves you little short of £250 in change. This brick is fairly svelte, at 250g, but it requires a monstrous 135W power supply to drive it: it can charge the laptop, drive two 4K or three HD monitors. The 2018 UltraDock is more generous: two DisplayPorts, HDMI and old-skool VGA, six USBs of various vintage, and full sized Ethernet. A cheaper model offers 90W, while the 135W option costs £250. Lenovo also revamped the Pen Pro for this year, claiming 156 hours of continuous use from its AAAA battery. Confusingly (well, this is Lenovo) this is not to be confused with the Active Pen. It’s a pain to carry a spare battery just in case the pen craps out on you – and we like the idea Samsung introduced of a pen that charges rapidly from the host, but can still be used when flat. Perhaps Lenovo can also hire Mr Doodle. 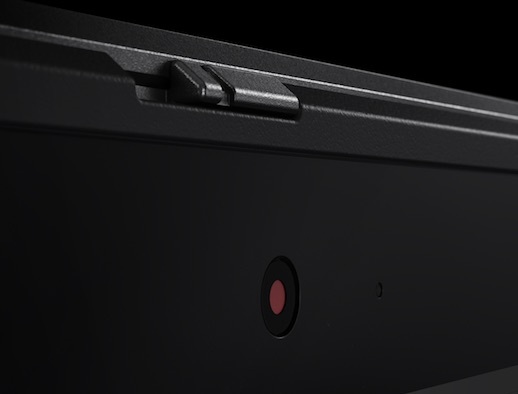 At least there’s a slot for it in the body of the X1 Yoga. Young Brit artist Sam Cox – aka Mr Doodle (see here) – is all over the Samsung S Pen promo material and used Galaxy Note8 devices as displays in a recent exhibition. We received the i7 model with the lavish IPS (note: not OLED) HDR display – a screen as impressive as anything you’ll clap your eyes on in 2018. Dolby Vision HDR format, which makes the colours even more eye-popping and the blacks, er… blacker, is supported by the Edge browser and Netflix. Amazon Prime Video is a little behind: Jack Ryan being the first to launch in the format in August, but it still isn’t officially listed on Amazon’s features page. 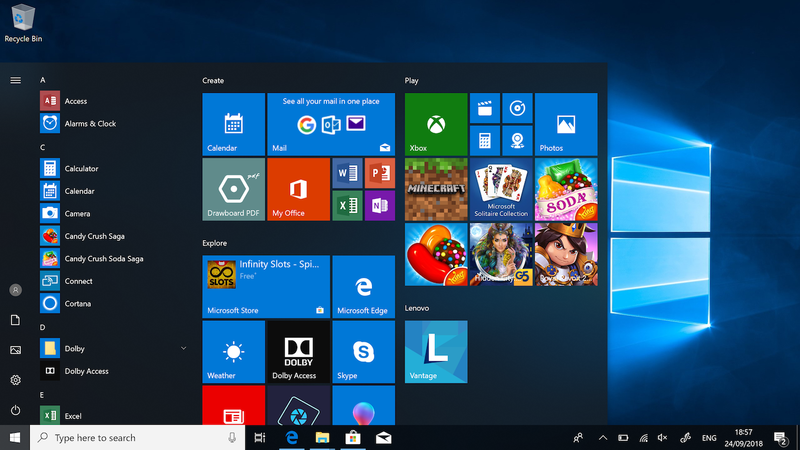 One inadvertent side-effect of the explosive colour display is to make Microsoft’s Windows 10 default Start menu look even more like a car boot sale, a bundle of tat has no place on a business machine. It’s extraordinary that business-focused OEMs apparently have no ability to prevent this, and present the user with a stripped-down start menu instead*. 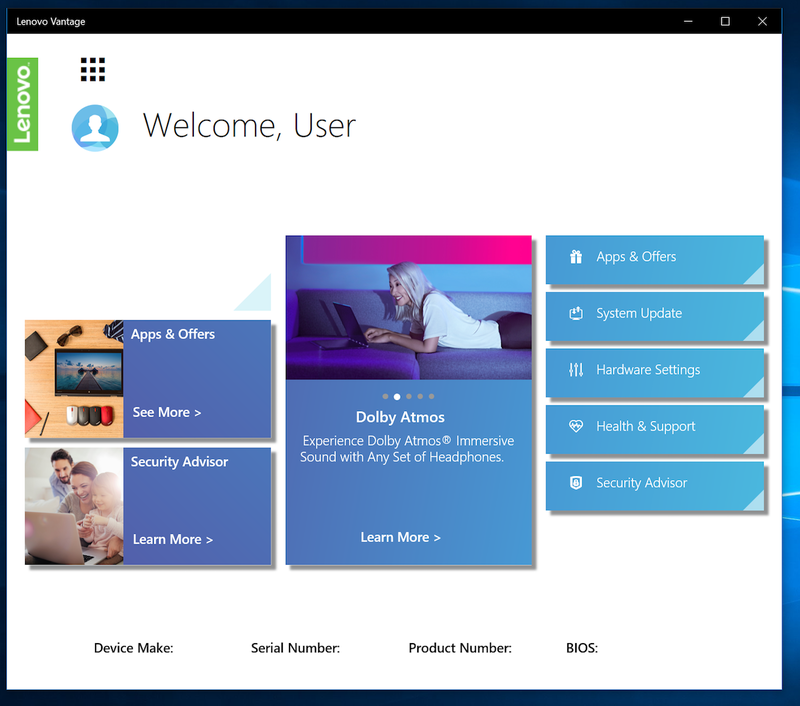 It’s not even as if Microsoft is a consumer company these days, having abandoned so many consumer initiatives in recent years: a fitness band, a smartphone platform, a music player and music and movie services, and a few sometimes-quite-useful PC applications. At least Lenovo doesn’t pile in. A decade ago it used to bundle far more useful Lenovo apps with a ThinkPad, but these are now consolidated into the Vantage app. Even the battery bar is optional – you have to go and get that yourself. It’s hard to distinguish it from the Carbon until you notice the power button is shifted to the side – this could definitely be more prominent, and it took some getting used to. In practice, I found the X1 Yoga to be cool and quiet – although there is a fan, apparent when taxing the built-in Intel graphics with Asphalt. Intel is currently introducing Whiskey Lake chips that mitigate the catastrophic Spectre/Meltdown design error. I have few complaints about this year’s Intel chips otherwise. Battery performance was a mixed bag. On the plus side it charges rapidly. But all told, it was far from the promise Intel and Lenovo make: it’s officially 15 hours, but I wonder what you’d have to be doing to achieve this. The glorious but power-guzzling display cannot have helped. I achieved some five to six hours with careful everyday use. For a large machine and with the CPU improvements, it’s fair to expect a little more. 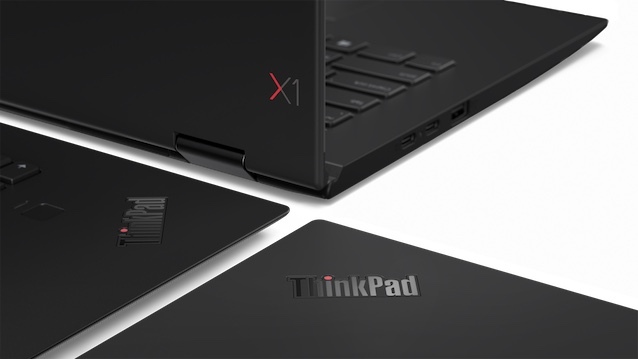 Lenovo has managed to make the keyboard “ThinkPad-like” despite the demands of a retractable design. It lacks the deep travel (over 2mm) and firm tactile feedback of the T-series, with one review reckoning it’s 1.4mm. But it’s decidedly slick to type on. 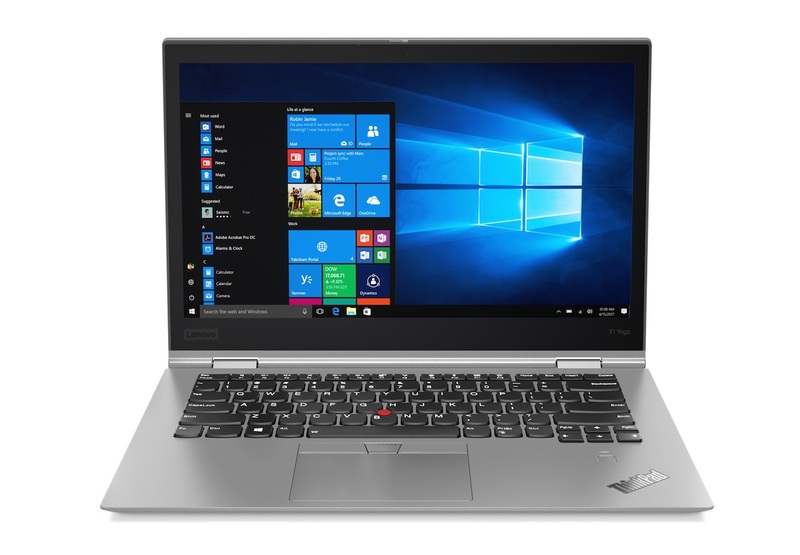 Anything Lenovo sells in the X1 family is naturally going to be compared with the X1 Carbon. The Yoga, thankfully, doesn’t compromise. The X1 Yoga does nothing wrong – the battery isn’t terrible, and you have an amazing display for lean-back Netflix viewing, and surprisingly Lenovo doesn’t charge a premium for Tent Mode and that retractable keyboard over the Carbon. It’s a tough market for flogging PCs right now, you see. It’s great to see a SIM card option and an SD card slot on every machine, to go with a decent port selection. Both Carbon and Yoga siblings max out at 16GB of RAM. For real performance the X1 Extreme features an Nvidia graphics card and up to 64GB memory, though. The Carbon is really a decent workhorse. "And it's important to remove all that bundled crud, adjust your privacy settings, uninstall all the telemetry updates, and install a privacy manager BEFORE first connecting it to the internet," reader BillG wrote under our ThinkPad X280 hands-on.